More and more people are accessible to Facebook, sharing thoughts and recording daily lives. Also, it is becoming a large advertising platform for various companies. Making a wonderful Facebook advertising will help you bring more visitors and customers to your travel agency. 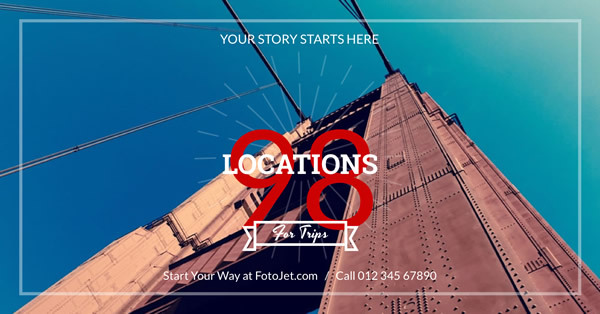 Facebook ad maker FotoJet can assist you to create fascinating travel agency Facebook ad design without much effort. Use our exquisite Facebook ad templates like this one, do some custom designs with handy editing tools and lovely images, and you will get a perfect Facebook ad design for your business.